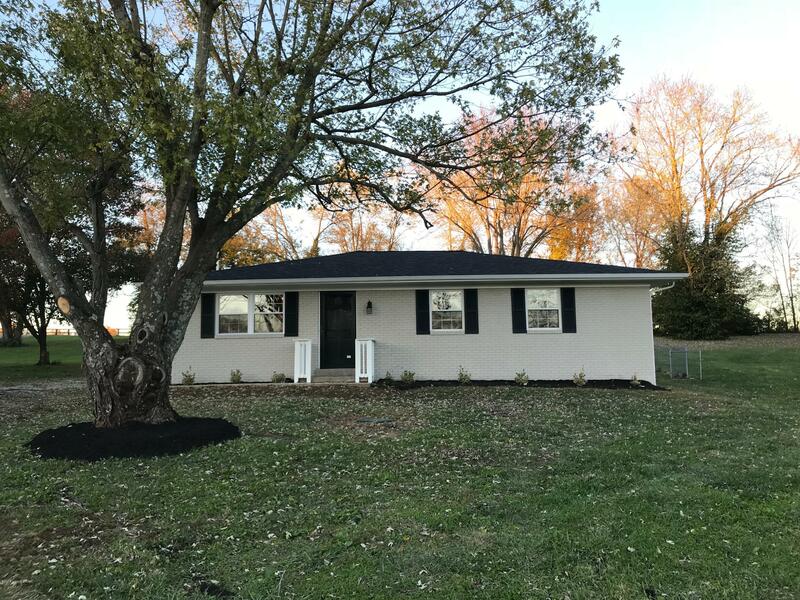 Take a look at the renovation on this spacious brick ranch wonderfully located in charming Finchville. The floor plan has been opened up to make this a bright and airy home on almost an acre double lot that is mostly fenced. This home is ready for years of low maintenance living. New: Roof, 220 electric panel, plumbing throughout, windows, doors, kitchen, baths, air handler, duct work and more. French doors leading out to large deck overlook the peaceful back yard. Beautiful hardwoods have been refinished. Butcher block island in the kitchen with spacious pantry cabinets. Septic system has been updated and serviced. There is lots to love about this little slice of Shelby Co heaven. Seller offering: 1yr Home Warranty in addition to contractor/equipment warranties that will transfer.